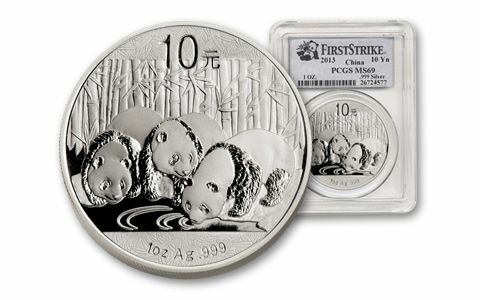 The 2013 China Silver Panda is a first-ever - and only we have this year's official First Strikes! Each year, when China releases its Silver Panda coin, millions of collectors and silver lovers around the world swarm the market for these red-hot silver beauties. But even though the China Mint has raised their mintages from 600,000 to 8,000,000 in recent years, the China Silver Pandas have SOLD OUT - each and every year. Why? The answer is surprisingly simple. The Chinese silver rush is on! 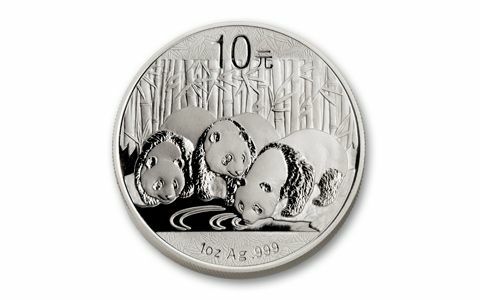 The China Silver Panda has been one of the world's most popular coins for the last thirty years. But remarkably, an old 1949 law prohibited Chinese citizens from owning their own country's coins. So when that law was finally changed in 2004, millions of China's prosperous new middle class buyers flooded the market! The unveiling of this year's new Silver Panda revealed an exciting surprise: for the first time in its thirty-year history, the coin's design features not one, not two, but three Pandas-an important fact for collectors of the series. 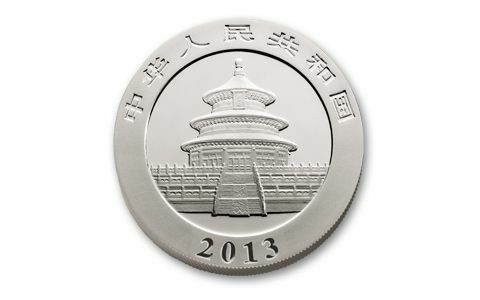 Do the three Pandas shown on the 2013 coin symbolize the three decades of the China Silver Panda series? Many collectors say "yes" - and this first-ever milestone could easily help drive demand for this year's coin even higher! Now, what could make a 2013 Silver Panda even better? 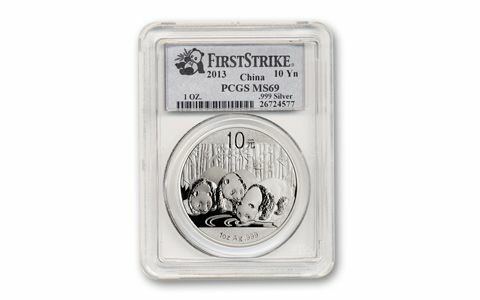 How about a graded coin with a First Strike certification! It's an exclusive you'll only find here! Of the 50,000 First Strike Silver Pandas produced for 2013, only we have them all - among the very first Pandas struck with brand new dies, sent directly from the China Mint to the Professional Coin Grading Service (PCGS) with an official authorized letter from the mint's Director! That includes the highly collectible near-perfect MS69 coins! Secure yours now! As an official distributor for the China Mint, we are making our entire 2013 allocation available on a strictly first come, first served basis. Order today and lock in your best price - but remember: we must limit purchases to 40 coins per household!